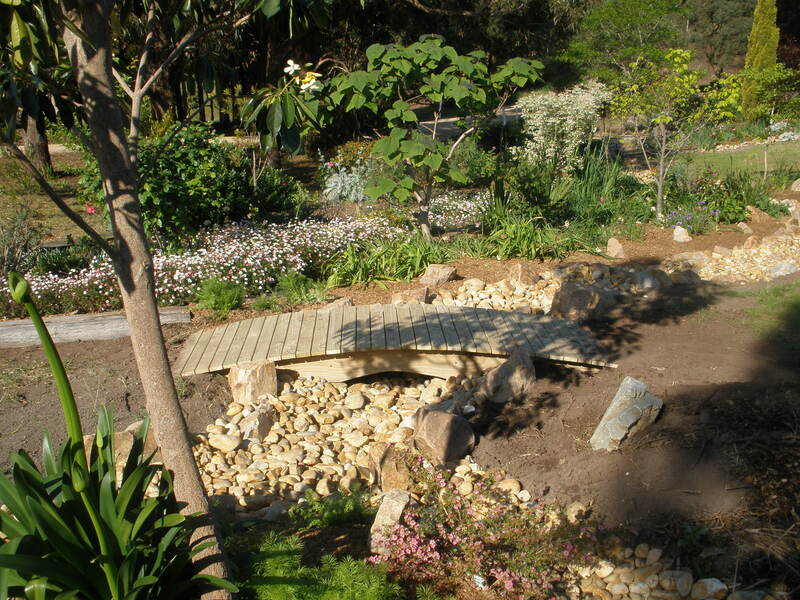 Our son is staying with us at the moment and the work on our dry river bed has moved forward at incredible speed. 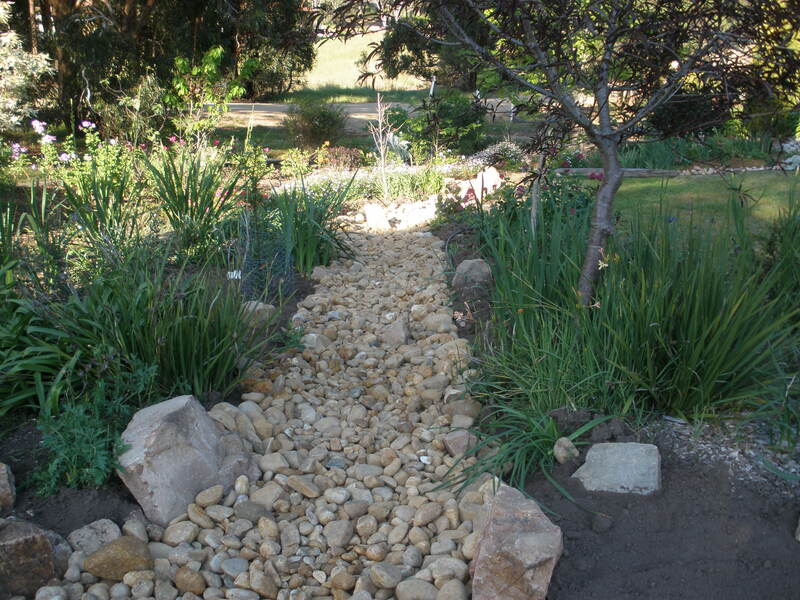 I have helped with the carrying of the rocks by the bucketful but the bulk of the work has been done by our son. This is at the end of day 1. Day two was when the bulk of the rock moving happened. 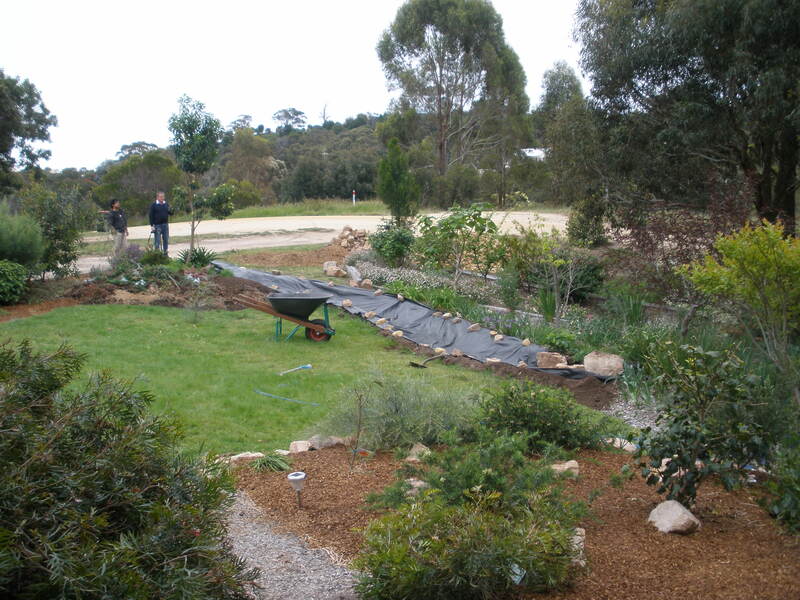 Day three was the cleaning of the rocks and the laying down of the mulch on the garden beds. 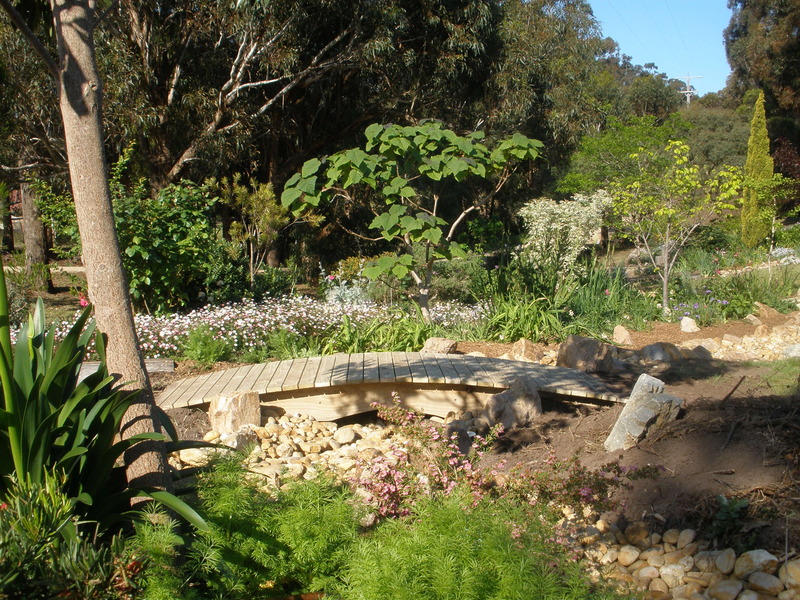 Our son was busy building a bridge to put over the dry bed. Day four saw the installation of the bridge. Now we just need to get the grass to grow. I just think our son is amazing. 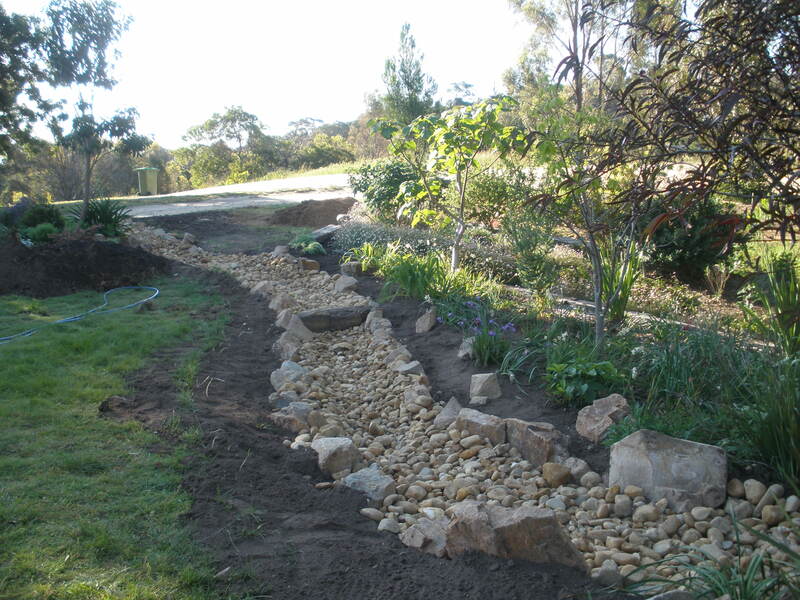 This entry was posted in Gardening, Gippsland, Metung and tagged drainage, dry creek bed, dry river bed, gardening, gardens by suth2. Bookmark the permalink. Now we just need to do the tidying up. 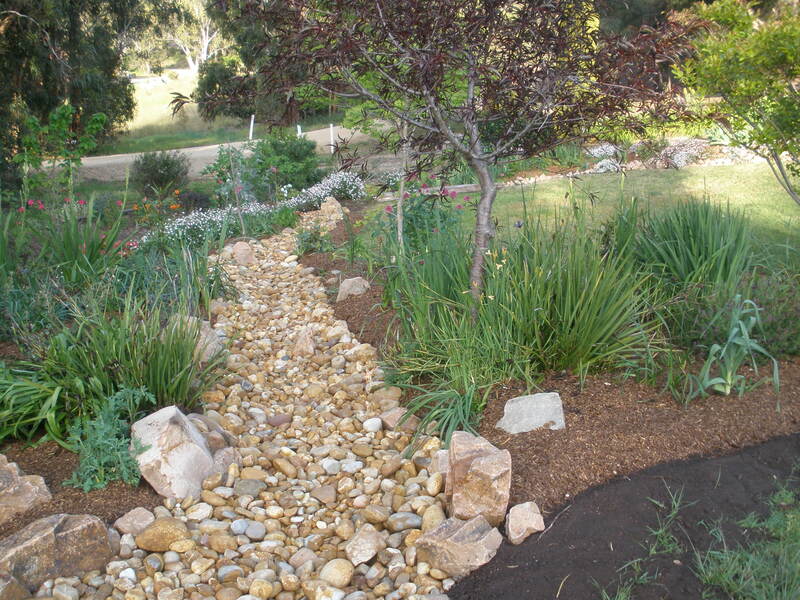 We have some left over pebbles so they need to be moved somewhere else. Yes, he is amazing! Such beautiful work. Bet you can’t wait for it to rain. Yes, I guess we will only know how well it works after a good rain storm. 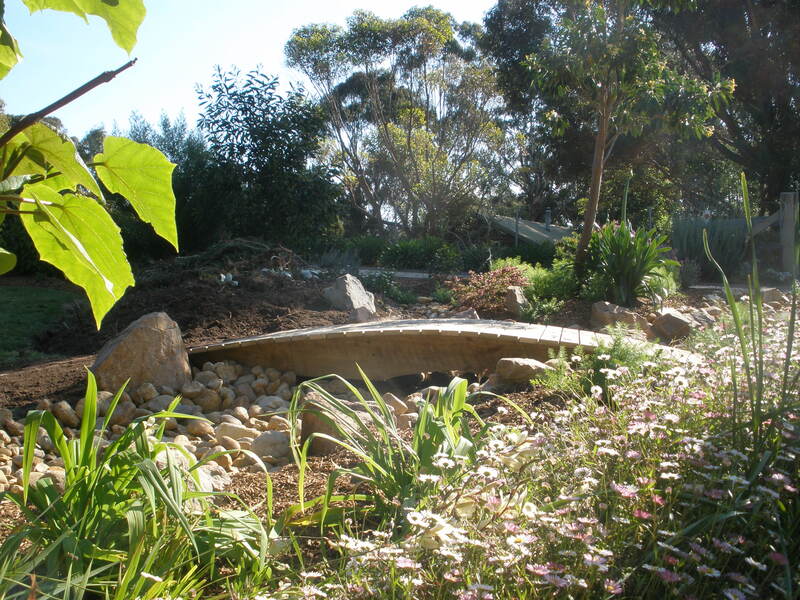 The riverbed is approximately 1 metre wide. 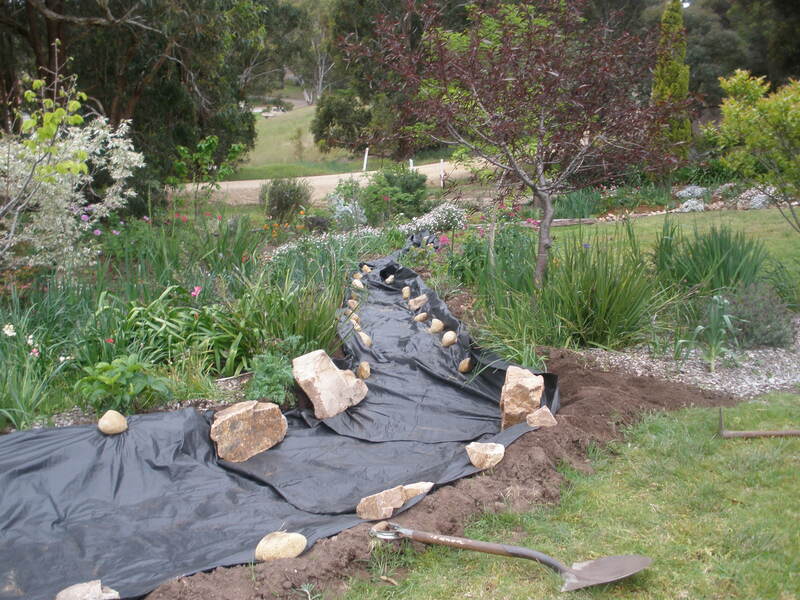 The black plastic underneath was wider as I wanted to keep the weeds away from the edge of the riverbed. Hope this helps. Wow! It looks great! 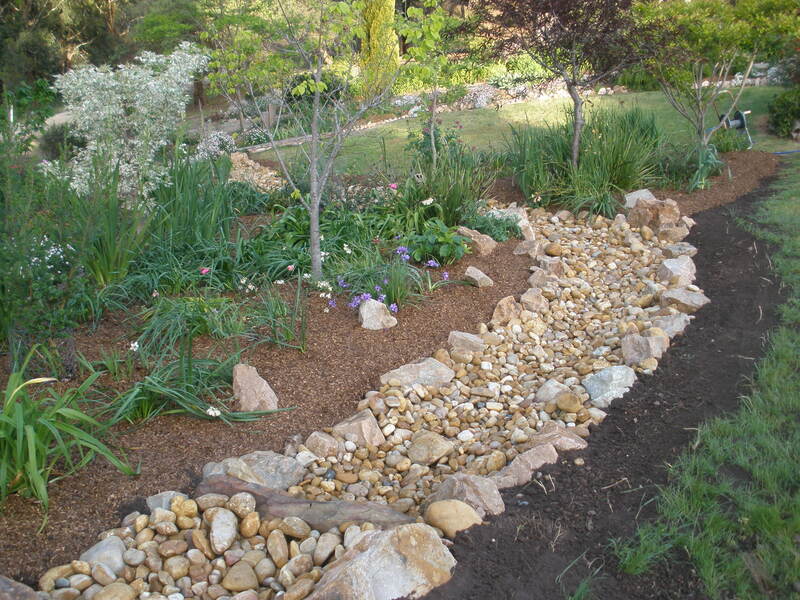 I’m getting ready to change our front yard over to rock with a dry river bed so I’m always looking at what others have done. I certainly would not have done such a good job without his assistance. That is beautiful and what a lot of work for him, all well done! We are so lucky to have such a lovely son. He willingly helps us in our various garden projects. It’s so nice to be able to look at your grown son and say: You’re a good man. I have one of them myself.